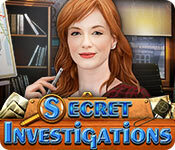 Secret Investigations is an addictive and exciting multilevel game for all fans of detective stories, adventure and hidden object mysteries. A detective’s job requires certain skills such as logical thinking, paying attention to details and having a sharp eye for noticing clues. Test your detective skills by searching for hidden items relevant to the case. 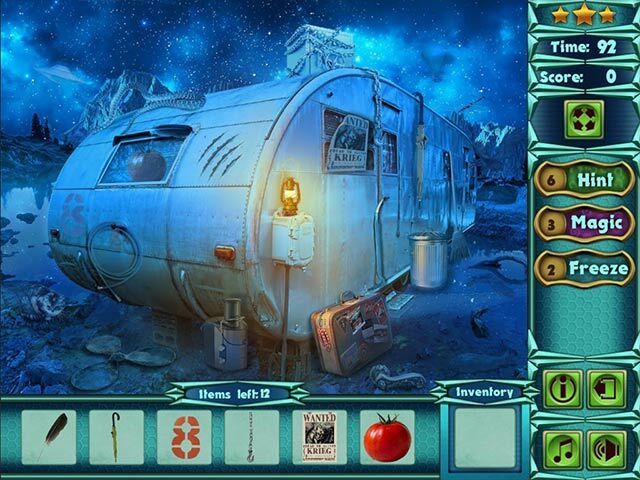 If you manage to find all the needed items and solve the mini puzzles, you are on your way to solving the case. Follow a thrilling plot that spans ten intricate cases, plenty of unique levels with picturesque scenery and quality graphics! Secret Investigations is rated 2.6 out of 5 by 34. Rated 5 out of 5 by AdrianaIP from Hooray! This is what hidden object is like Hidden objects used to be fun, until they got hijacked in adventure games so we could look at garbage piles. This is how it used to be and quite fun it is. You need to pay attention, look carefully. It is timed, but if your time runs out, you get to do it again. And this time, you know where a few things are. It is a wonderful way to while away a rainy day. And you can do one case a day, so stretching out the fun for several days. There are plots, more or less, but they are not so gripping that you cannot cut off in the middle and return later. Good visuals, and some things are a bit tricky to find. Some minigames added. What more do you want? Rated 5 out of 5 by elizadee from THANKS FOR THE "GOOD OLD DAYS"...... Thank you!! Finally a game designed similar to those games I purchased when I became a member of Big Fish several years ago. This game is uncomplicated and fun. Don't be fooled by the ease of it all when you first start playing. It does become increasingly more challenging as you progress. The graphics are good, hidden objects are sometimes well hidden and there are other great challenges along the way. I'm looking forward to purchasing more games of this type. I highly recommend this one!! Rated 5 out of 5 by grandmacira from GREAT HIDDEN OBJECT If you like hidden object, with less action and reading, you will love this game, as I did. It is just that, a real hidden object game. Rated 5 out of 5 by SrRat from ELEGANT EARLY STYLE HOG I get frustrated with games that list as Hidden Object games and turn out to be run-around games with very few HOSs. This game has great music, a story line that you can follow if you want or skip with a click. The objects are tricky to find. They can be in shadow, rotated, overlarge, in the distance, and one per location will require interaction. The scenes/objects are cleanly and clearly rendered. Graphic novel style. Simple and direct. 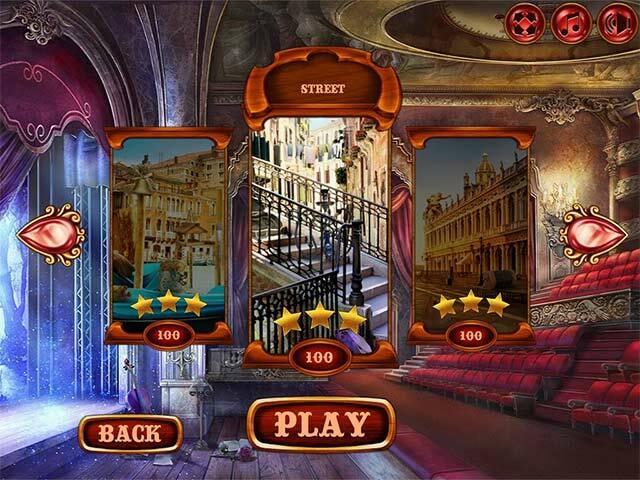 Rated 5 out of 5 by Janetto from Old School Hidden Object Game My review is based on the demo. I had so much fun playing this game. If you love looking for hidden objects, this is the game. An added bonus is only ONE inventory item per scene, which is used immediately within that scene. This is an old school type of Hidden Object Game -- reminds me of the games that built Big Fish. Thank you for remembering the customers who provided you with much support in the early stages of your development. I'm definitely purchasing this game. Rated 4 out of 5 by Regal99 from Refreshing Its so refreshing to see the old style of HOs. Being an elderly person, I was hoping someone would create HOs without all the inventories. I like simple fun. 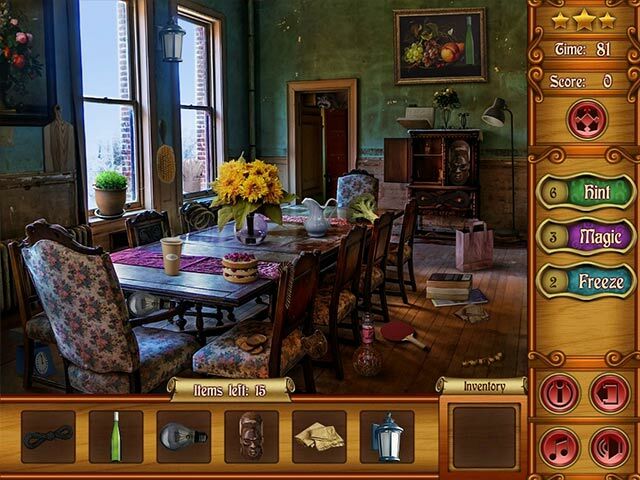 Rated 4 out of 5 by Beadfisher from Old school Hidden Object fun It's HOG with a Twist: you have to find all the objects in a certain amount of time or replay .I loved the demo, loved that the HOG's got harder the farther along you got. You cannot advance to the next adventure until you earn a certain number of stars, but you can go back and replay a game multiple times. When the artist gets sneaky about item placement, you may need to. Just about the time you think this is infant-schooley and dull, something is hidden that takes TIME to find. Storyline could use a bit of punch, but then, most folks who are HOG crazy ignore the stories in a rush to find things. Rated 4 out of 5 by mcurbelo from DIFFERENT FUN I like it. It's a little old fashion but fun. Visually great and a little challenging. Give it a try, you might like it.